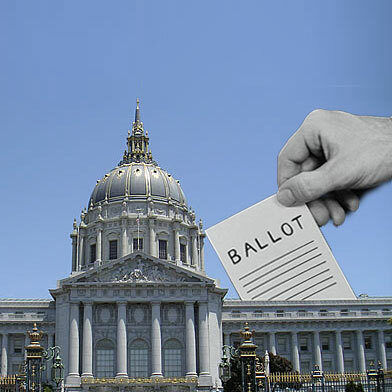 Early voting began today in San Francisco for the November election, with four ballot measures and four races to be decided by voters. Voters can go to the Department of Elections in the basement of City Hall between 8 a.m. and 5 p.m. on weekdays and from 10 a.m. to 4 p.m. on the two weekends before the Nov. 5 election. More than 200,000 vote-by-mail ballots have also been going out from the department. Three of the four races in the city this November are for uncontested seats—City Attorney Dennis Herrera, Assessor-Recorder Carmen Chu and Treasurer Jose Cisneros are the only options on the ballot. The lone contested race is for District 4 Supervisor, which represents the city’s Sunset District. Supervisor Katy Tang was appointed to the position by Mayor Ed Lee to replace Chu when she took over as assessor-recorder. Tang faces an opponent, accountant Ivan Seredni, in the race. The four ballot measures are Proposition A, which concerns the city’s retiree health care trust fund, Propositions B and C, which deal with the controversial 8 Washington housing project along the eastern waterfront, and Proposition D, which calls on the city to use all available resources to reduce its costs for prescription drugs. 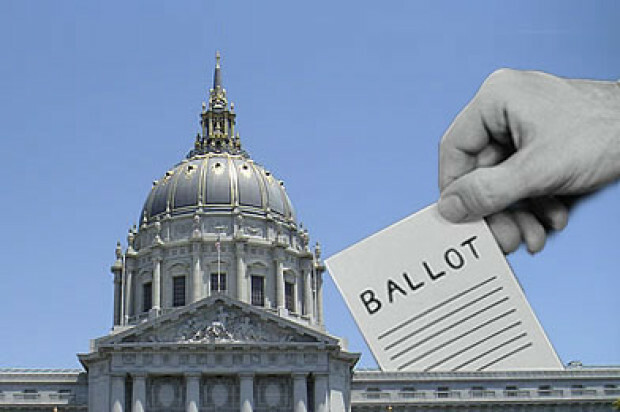 State Assemblyman Tom Ammiano, Supervisor David Campos and LGBT civil rights leader Phyllis Lyon were among the first early voters today and gathered at City Hall in opposition to Propositions B and C.
If approved, the propositions will allow for the construction of a luxury condominium complex just north of the Ferry Building. Opponents say the project will reduce access to the waterfront and could endanger a large sewer line built underneath the project site, while proponents say the site is currently fenced off and that the project would create 30,000 square feet of new public open space. More information about voting in San Francisco for the November election is available online at www.sfgov2.org/index.aspx?page=599.